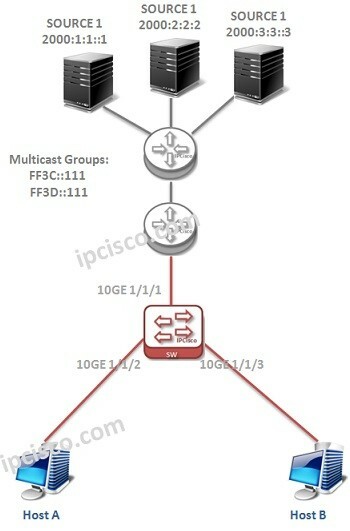 In this lesson we will give an example topology consist of Huawei switches and multicast hosts and then we will configure MLD on these devices. Let’s configure MLD on the Switch 1. Firstly, we will enalble IPv6 Multicast globally on the switch. We will use PIM-SM with MLD. So, we will enable IPv6 PIM-SM. We will enable MLD under the interface that we will use MLD with “mld enable” command.Before this, we will enalbe Layer 3 on switch with “undo portswitch”. We will do this configuration on each interface that we will use MLD. As we discussed before, MLD has twı versions; MLDv1 and MLDv2. We will set the version MLDv2 here. We will do this configuration on each interface that run MLD. New And Different Learning Styles! Hey Buddy!, I found this information for you: "MLD Configuration on Huawei Routers". Here is the website link: https://ipcisco.com/mld-configuration-on-huawei-routers/. Thank you.